At 9:57 AM, on September 11, 2001, the passengers and crew of United Flight 93 foiled the fourth and final phase of a large-scale terrorist attack. As they were held captive, they banded together and attempted to take back control of the plane in an effort to save the innocent lives of those who were in danger. Although the plane met its end in a field in Shanksville, Pennsylvania, the spirit of those on board lives on. Hundreds of lives in Washington, D.C. were saved, limiting the impact of the largest terrorist attack in United States history. Telling this story - one of courage, service, and heroism - is central to the mission of The 9:57 Project. The 9:57 Project pairs students and veterans of the Armed Services to bring stories like this to life. We aim to help students own and embrace their future by studying, honoring, and remembering the past. 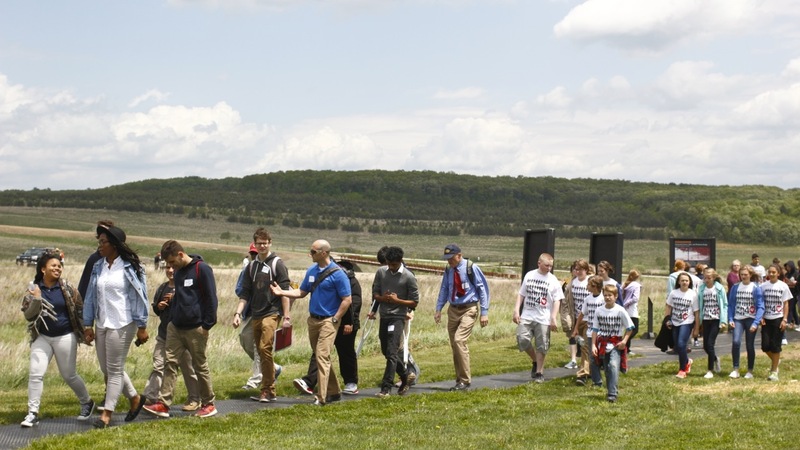 By partnering students with veterans, this project helps students consider and preserve the smaller, lesser known stories that our veterans carry with them each and every day. At its best, this project offers a living memorial to service - service to our communities, our country, and our world.